Let the Ancona Valencia Series Dual-Mount Double Bowl Sink be the stunning centerpiece of your kitchen. This modern 18-gauge stainless steel sink includes two equally sized 9inch deep bowls that allows you to perform all of your daily kitchen tasks while keeping cleaning easy and quick. Keep your space organized with the stainless steel multi-purpose drying rack that will provide extra space for drying dishes. This astonishing Ancona stainless-steel sink includes a versatile dual-mount design that will let you opt for a top-mount or under-mount installation while maintaining a convenient, practical and sleek appearance. 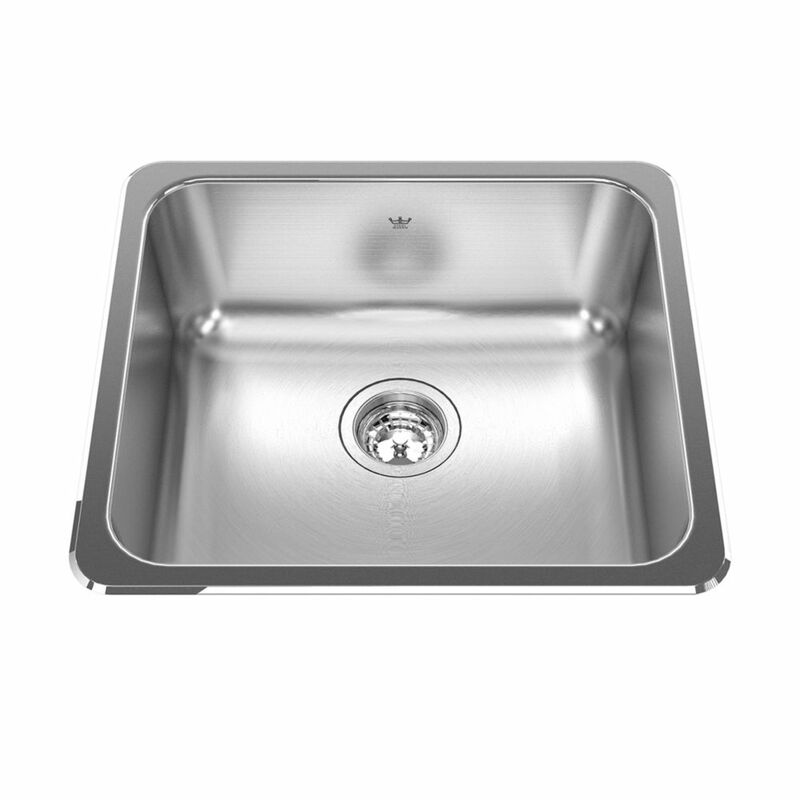 Single sink 20 Ga - 18-1/8" X 20-1/8 X 8" Single bowl 20 gauge top mount rimback sink. Sink features hard wearing satin finished bowl, sparkling mirror finished rim, and included waste fitting. Quality assured with the standard Kindred Limited Lifetime warranty. A slim rim, and maximized bowl affords great use of space without sacrificing volume.